PIAA windshield wiper blades are made with silicone rubber, which ensures greater visibility by coating the windshield with silicone to promote continuous water beading in inclement weather. The effect is similar to popular windshield coatings but without the hazy side effects. Water beads up into droplets at low speeds that are easily removed by ordinary wiping. 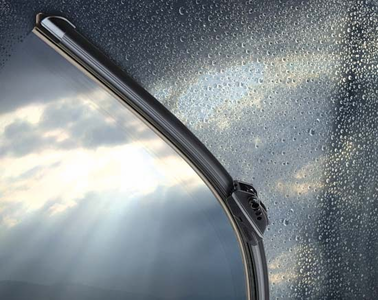 At higher speeds, wind pressure pushes the water off the windshield, often without even requiring wiper use. The silicone rubber is also twice as durable as traditional rubber, allowing them to perform better over a longer period of time. Plus, the Aero Vogue and Super Silicone blades are refillable with our wiper refills.